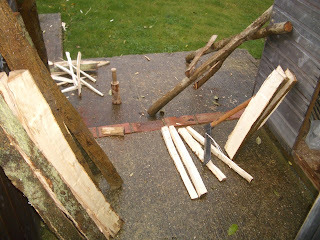 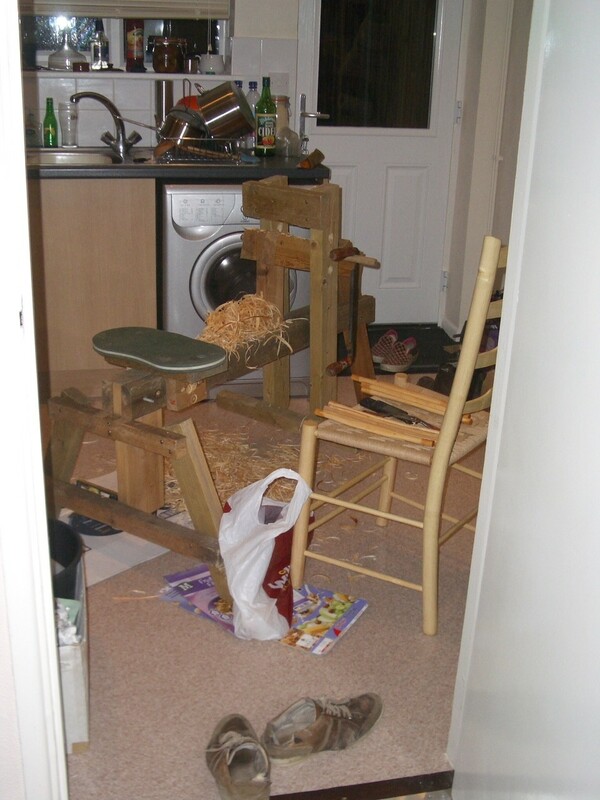 The plan was to make a green wood, round framed ash rocking chair with a woven seat. 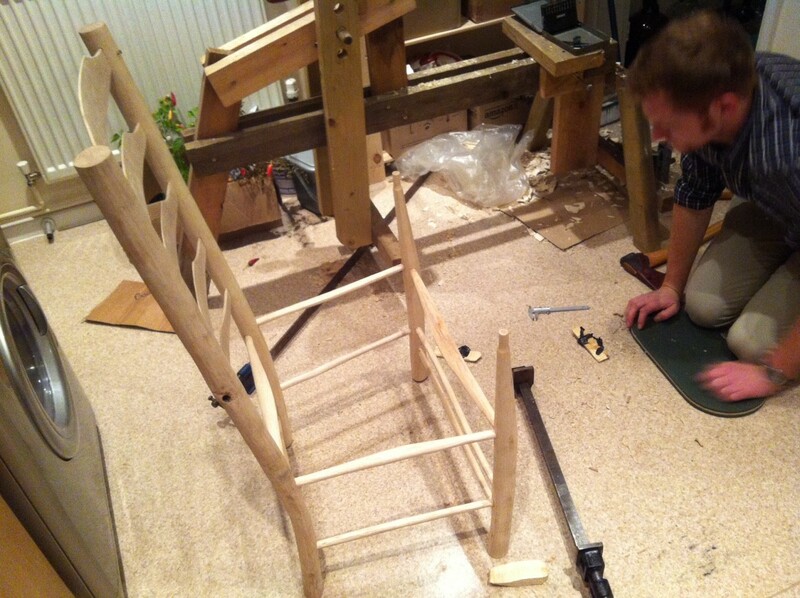 The whole project took 3 months of odd evening and weekend sessions. 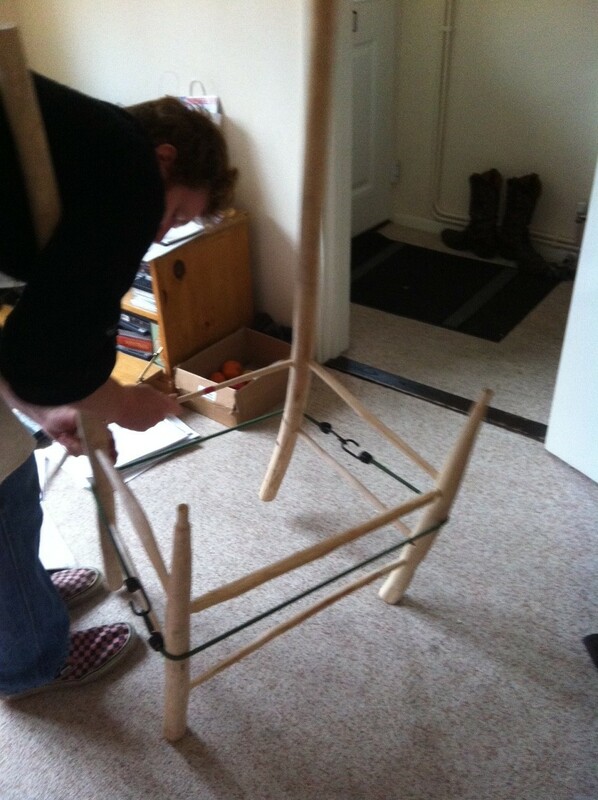 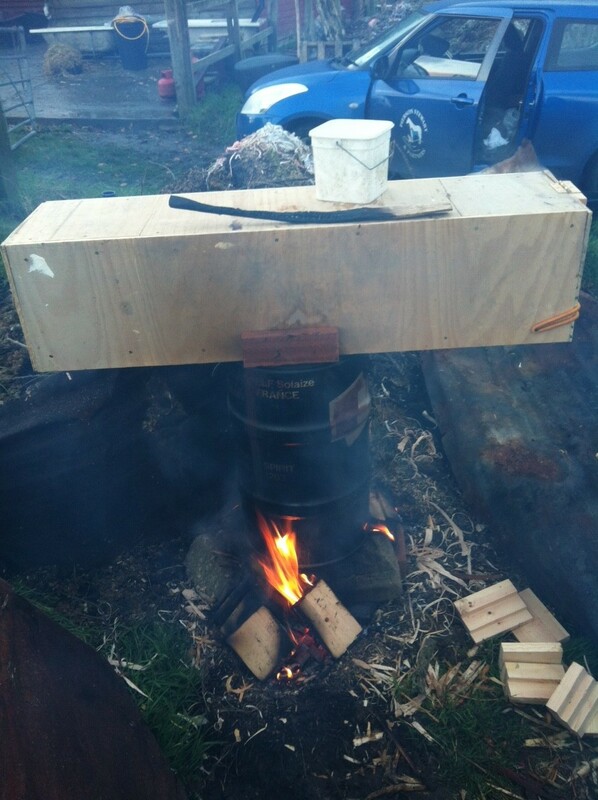 Ingenuity will out, and we begged, stole and borrowed enough to pull it all together. 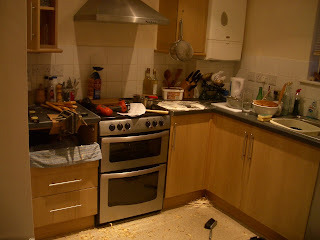 Rocker HQ - my kitchen. This is how it stayed for 3 months.... All of the components were made by hand on a shave horse with draw knife and other hand tools and dried in the airing cupboard. 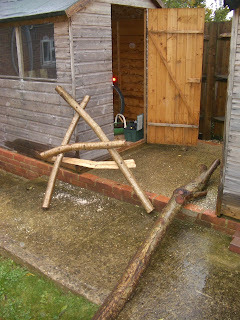 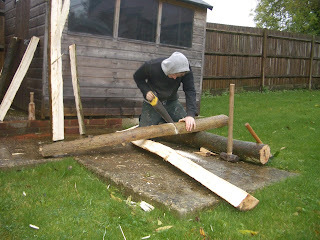 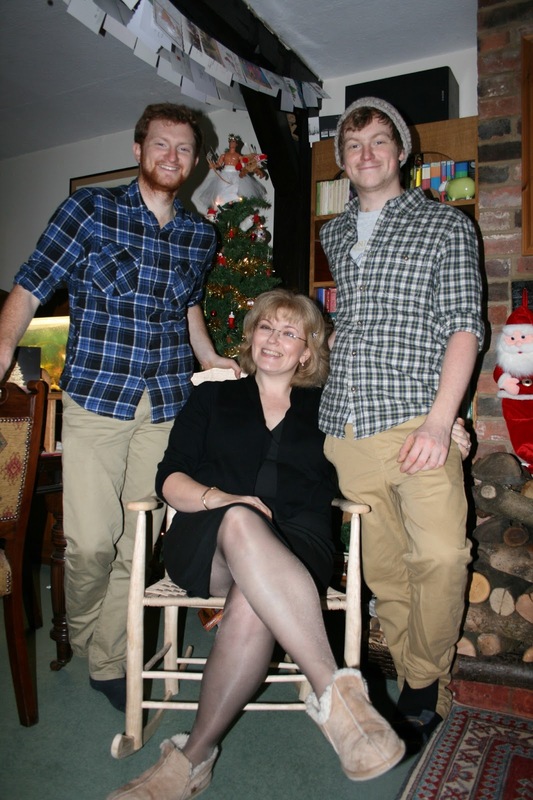 Jack procured a log by hook and crook, this we split with sledge hammer, wedges and froe. 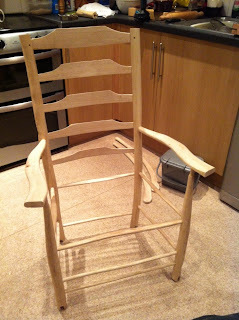 Arms and rockers ready to be fitted. 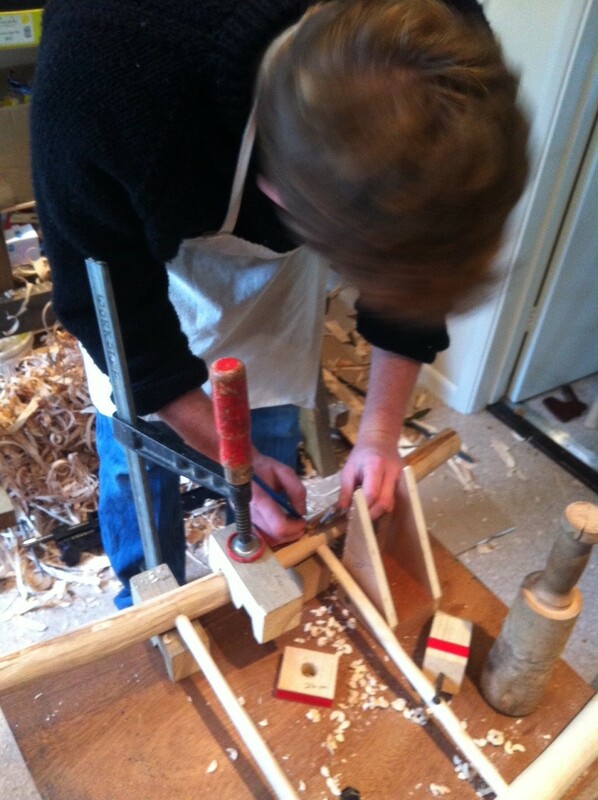 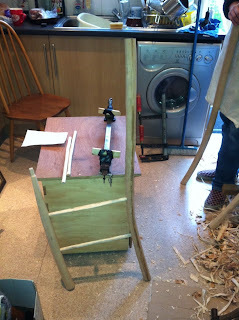 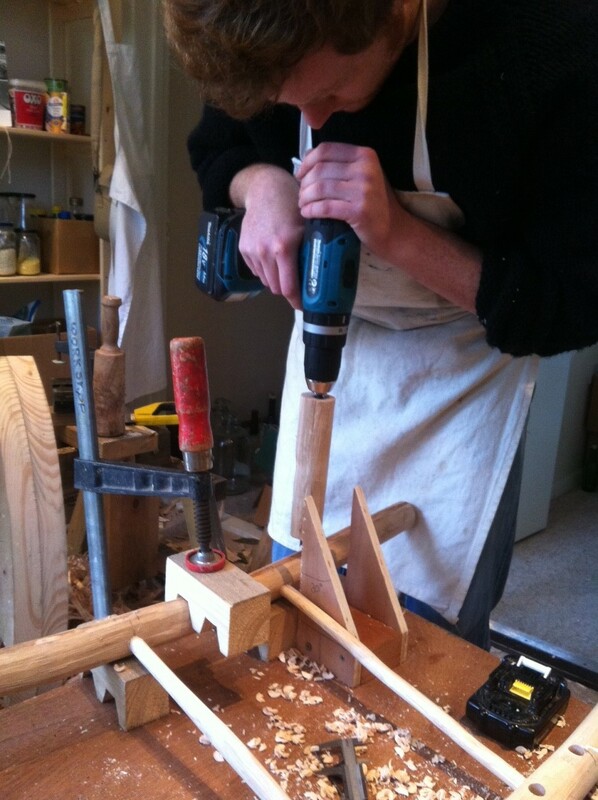 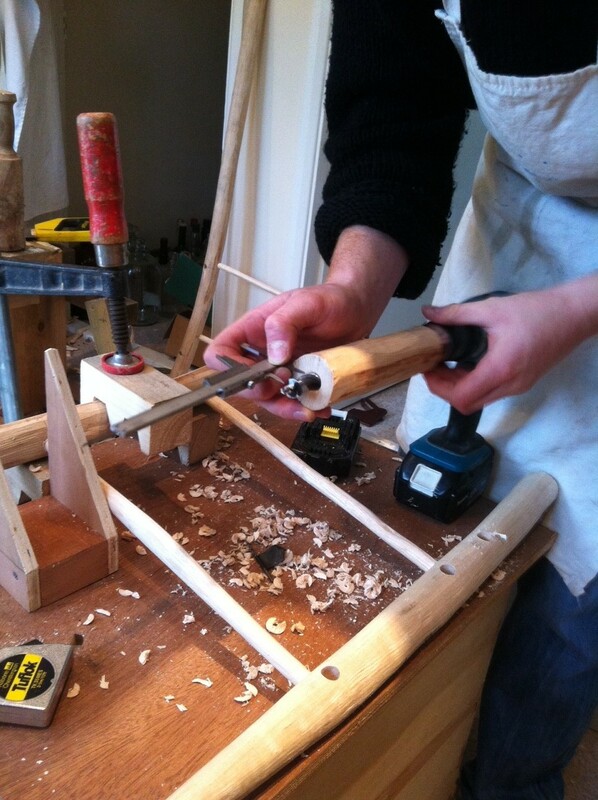 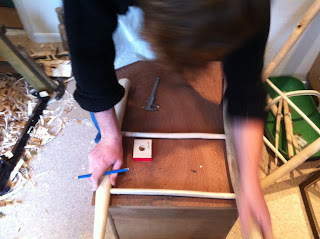 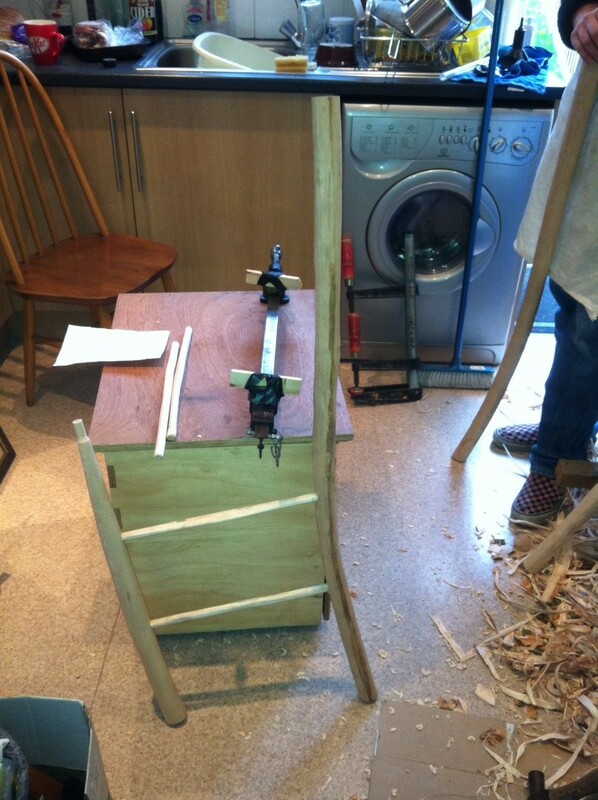 The whole thing is held together with 6 small oak pins and 2 oak wedges in the arms. 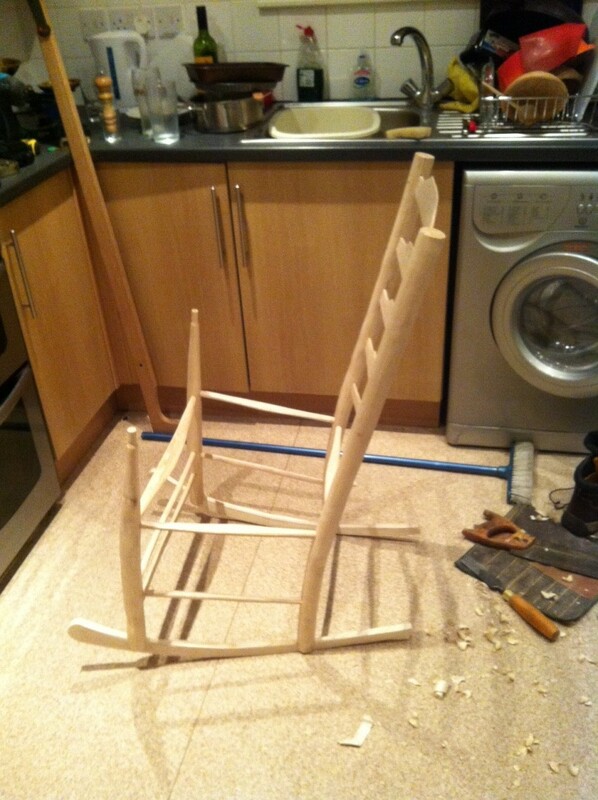 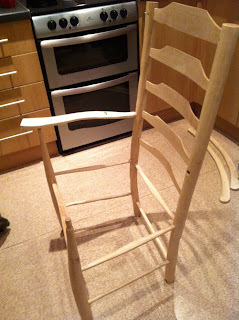 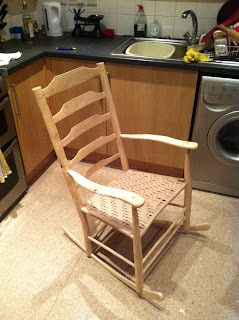 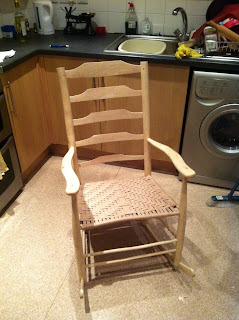 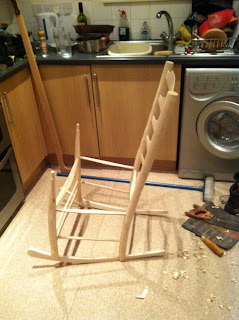 Finished with a seat woven from Danish Cord- pattern produced from frantic scribbling on a note pad and trial and error!